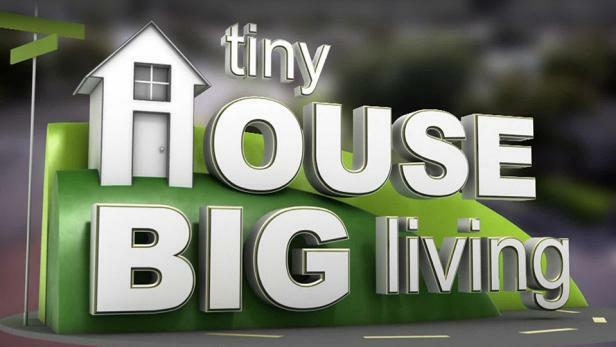 Tiny House Expedition as featured in the press, online, in-print and on TV. 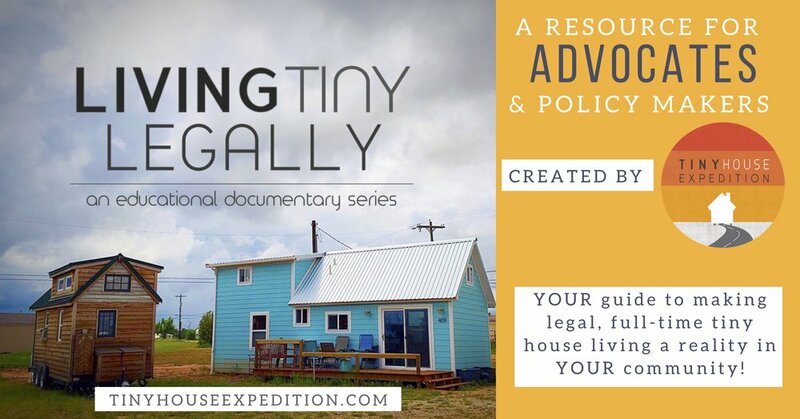 "To give people a behind-the-scenes view into the process, American filmmakers Alexis Stephens and Christian Parsons of Tiny House Expedition recently debuted the first installment of a three-part docu-series called "Living Tiny Legally". They talk to tiny house owners, policy makers and other organizations about what it takes to legalize tiny homes. Watch the first part on YouTube." "Though the tiny-house movement has been gaining steam, many logistical uncertainties remain, such as where people can legally park and live in them. While no single list of locations is available, part one of the documentary series Living Tiny Legally (2016), screened at the Jamboree, can serve as “an educational resource for tiny house advocates and city officials.” The filmmakers and traveling tiny house couple, Alexis Stephens and Christian Parsons, plan to add more resources and segments to the documentary in the future." "Stephens and Parsons — like most of the tiny home owners we spoke to — believe it's better to fill their lives with experiences rather than things. Living a minimalist lifestyle takes commitment, but it's best to start by just jumping in, they say. "Shake off the mold, and redefine what personal success looks like to you — and have fun doing it," Stephens says. Colorado Springs Becomes the Tiny House "Capital of America"
A conversation with KBIA's Trevor Harris on our tiny living experience and the tiny house movement across the US. "Tiny House Expedition, a North Carolina-based video production company, interviewed Walsenburg officials Monday, June 13 at city hall. Alexis Stephens said the company is in the processing of shooting footage and interviews for two up-coming documentaries; ‘Living Tiny Legally’ and a documentary series on tiny home living in the United States and Canada. Stephens and partner, Christian Parsons, are also traveling in their own tiny home while making their videos. They are shown here talking with Walsenburg Planning and Zoning Chairman David Roesch..."
"In May Spur and residents in the surrounding area likely noticed a tiny house on the road." "Why are they so passionate that they’d do this? It’s a matter of What We Need versus What We Want. It’s about showing off the big liberation you get from going tiny. You can move without having to move out, you can leave behind many of the worries of “regular” houses (maintenance, filling it, etc.) and of course, you can do your spring cleaning in about fifteen minutes!" Tiny Houses: Coming to Denton? Conversation with the good folks at Serve Denton, a nonprofit helping other nonprofits become self-sufficient. "Alexis + Christian of Tiny House Expedition are travelers, nomads and alternative dwellers. But that does not stop them from experiencing community. These two are weaving a tiny house network across the country—not defined by geographic boundaries, but through shared experiences, personal connections and open hearts and minds. This couple is in the middle of a two-year project living and traveling in their tiny home and sharing stories of the tiny house community." Our tiny home made it to France! Or a least a story about our tiny living experience and project did. :) This story is about the tiny house builder in France and the tiny house movement in the United States, featuring Tiny House Expedition as its primary subject. A French film crew followed us for four days as we travelled with our tiny home across Texas and arrived a tiny house village forming for Earth Day Texas. Earth Day Texas, held at Fair Park in Dallas, is one of the world’s largest Earth Day festivals, and this year’s event had a record breaking attendance of over 130,000. The premier attraction was a tiny house village, featuring 9 tiny houses (8 DIY and 1 professionally built) each house averaged approximately 5,000 visitors over the three-day event. The houses included A Bed Over My Head, Tiny House Expedition, Eco Cabins, The Best Little House in Texas, The Little Fish House, This Little Home of Mine, Terraform Tiny House, The Whittle Wagon and Nina Zamudio’s tiny home. "U-Haul recognizes the importance of sustainable projects and has been a proud partner of the expedition...helping Stephens and Parsons spread their message of "sustainable living". The couple found that both 17 and 20 foot U-Haul trucks are perfect options for hauling their tiny home on their journey across the United States." 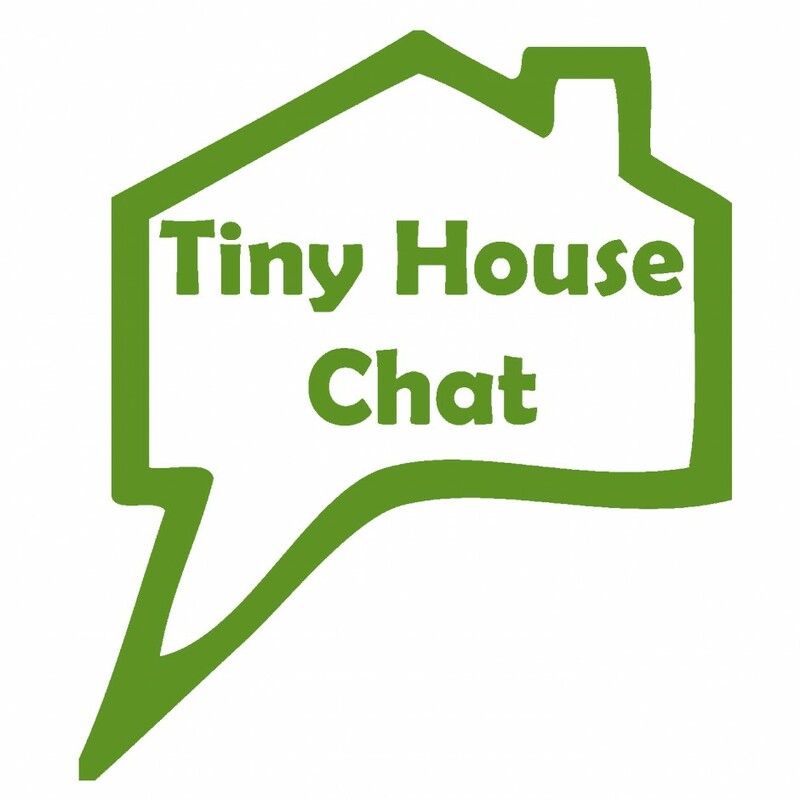 "Alexis Stephens and Christian Parsons of Tiny House Expedition, who travel throughout the US advocating for the legality of tiny homes (more on that later) while filming a documentary series..."
Tiny House Chat's very first interview podcast! For the third installment of stories from the road with Tiny House Expedition, producer Bethany Chafin catches up with Alexis & Christian while on a stop in Oklahoma. One of the best parts for the couple is "really tailoring for how you live your life. It's not doing without or depriving yourself...it's just really boiling down to the essence of what you really love or need and how you use your space," says Alexis. The Maricopa County Home and Garden show starts Friday morning and the stars of the event are these Tiny Homes. Tiny House Expedition was the spokesperson for the Tiny Homes Street of Dreams at the Maricopa County Home Show in Phoenix, AZ, in January 2016. "For the many who travel a different path, wealth is measured by health, living small and with less, such is the case with Alexis Stephens and Christian Parsons of Tiny House Expedition, a project they created which will document their nationwide travels..."
"A documentary called Living Tiny, Legally is being shot by filmmakers Alexis Stephens and Christian Parsons that hopes to advise cities on how to write laws to accommodate the popular bitty abodes." "Each tiny home tells a story about its owner(s)—how it was built, where it traveled, and what purpose it serves...For Alexis and Christian, Alexis always loved the concept for small, simple, outdoor living and came up with the idea for a travel project to discover tiny home communities..."
Wonderful post by blogger Alex Pino in support of our documentary, Living Tiny, Legally! and our Indiegogo fundraising campaign. "Right now, there are places to live tiny, but there’s not that many. In fact, it’s still illegal in most places and there aren’t far enough tiny house friendly communities out there to support us. That’s why Alexis, Christian, Kai, and a handful of other tiny house enthusiasts are coming together to create a free documentary to educate people on legal tiny house living options. I’m confident that this will directly impact and influence the number of tiny house communities throughout the world. And right now you can help raise money for this free film by selecting and purchasing a perk to receive with your donation." Tiny House Expedition featured as part of Maricopa County Home & Garden Show's Tiny Homes Street of Dreams, a tiny house village display. The original tiny house blogger, Kent Griswold writes in support of our Indiegogo campaign for our new co- production-- Living Tiny, Legally! 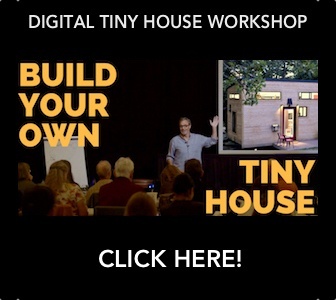 The intent of this short documentary is to provide a proactive, illustrative resource for those seeking to bring tiny houses to their city but don't know where to start. ‪With YOUR HELP, this documentary can be used as YOUR tool to proactively further meaningful conversations with your local municipal planners and help make legal tiny housing a reality in YOUR community. Please check out our Indiegogo for more information. To learn more about this co-production and how it differs from our larger documentary, see our FAQ. Sharing our blog on the groundbreaking tiny housing zoning ordinance in Rockledge, Florida. We love to see our blog posts reaching new audiences through great sites like these. This post was originally featured on Tiny House Blog; Alexis is now a regular contributor. "An event as explosive as SPARKcon needs a guide—so we made you one! Check out our highlights of this annual festival that celebrates Raleigh's creativity and cool." Micro Maisons: Un parcours d’aventure et un projet enrichissant. "Alexis Stephens and Christian Parsons are millennial filmmakers from Winston-Salem, N.C., who are building a tiny house on wheels. They are taking the house on a trip across the nation to shoot a documentary about tiny house community building called Tiny House Expedition. "Living small means more freedom," Stephens says. "By choosing to live small, I can have more time and funds to do the things that I love—travel, spend time with friends, and opportunity to get more connected with my surroundings, from nature to community volunteering." We had the great pleasure of connecting with the one & only, Kent Griswold of Tiny House Blog and the Tiny House Magazine, at the Tiny House Jamboree. He shared the Relax Shacks video tour and a little about us on his famous blog. Deek Diedricksen of Relax Shacks' Tiny House Hub stopped by for a tour of our tiny house at the Tiny House Jamboree! Fy Nyth: 1st Tiny House Jamboree - Houses! One of things we love about the tiny house movement is the amazing community of tiny housers! We had the pleasure of connecting with Ariel, tiny house dweller & blogger out of Wyoming. Her recent post shares her experience at the Tiny House Jamboree and features many of the tiny houses there. Looking forward to visiting her down the road! "In this edition of the Buckley Report, meet Alexis Stephens and Christian Parsons, who are selling the idea made famous by the German-America architect, Ludwig Miles van der Rohe, that less truly can be more"
The Pollination Project: Alexis Stephens & Christian Parsons, the Tiny House Expedition - new grantees! The Pollination Project provides micro grants for social change projects worldwide. We are so incredibly honored & humbled to be included on their list of incredible & inspiring grantees. Seed the change! Our first out of state trip to Crownsville, MD to visit Sustainafest's tiny house building program for middle schoolers. It's not often you witness a group of pre-teens & teens work so well together & for a good cause-- learning the importance of sustainability in all aspects of life and building a sustainable home for someone in need. "They are in town to interview our staff and Tiny House homeowner as well as to document the home dedication." What a magical experience this visit was, our first stop away from our hometown. We documented the first tiny house built as part of a Habitat tiny house pilot program seeking to reach folks who wouldn't normally be eligible for a Habitat home. Barbara Gorman is the new homeowner. Her life was changed forever for the better now that she has a home of her own, one that she can perform. Read about our visit & their inspiring program here. Yes we are working on a new tiny house doc that focuses on tiny house communities (existing or in development) and tiny housing community projects. Dow "provided Styrofoam brand insulation and Froth-Pak spray foam insulation for the walls, noting in a press release that when there’s not an inch to waste its products have thin profiles and are lightweight. The company also created a graphic about the “big science behind a tiny home.” It gets into how spray foams block air infiltration and reduce moisture that causes mold and mildew as well as how air leaks need to be sealed because they account for 40 percent of the energy used to heat and cool a house." For more good fun, check out the story here. MLive.com: Could You Live Small Enough for a Tiny House? Follow-up story to feature about our project (see below story). Readers share their thoughts on tiny living. Read more here & leave a comment with your thoughts. "Outperformance Homes, like this tiny home, feature an integrated system of solutions that work to better protect the home from air and water infiltration, temperature fluctuations and energy loss. An Outperformance Home will be more sustainable and energy efficient, helping Alexis and Christian cut down on costs to keep the space comfortable while they travel around the United States educating communities about sustainable, affordable housing alternatives just like theirs." Here's one for our Spanish speaking amigos! "What we love about our house is how its tailored specifically for us," Stephens said in an interview with The Huffington Post. "The beauty of consciously simplifying is getting down to the essence of who you are, what you really love and really need." Get your community ideas together and put it to the local officials to get the ball rolling. You may be surprised with the outcome!" "The couple is planning to embark on a grand expedition, traveling across the country with their tiny house on wheels. They hope to document tiny house community-building projects across the nation...Through their stories, the Tiny House Expedition aims to spark interest about the positive effects that these tiny-housing projects can bring to local communities...They have chosen to use a U-Haul truck to transport their tiny house on wheels." "Built using Outperformance Home ingredients from Dow for optimal insulation and air sealing, the Tiny House Expedition is well-equipped to travel wherever their mission takes them in climates from Florida to Alaska, knowing they're protected from nature's elements." Read more here to see how Dow's leading insulating & air sealing solutions were used to make our tiny home an Outperformance Home. Reporter Jessica Mensch stopped by our tiny house for a tour & to learn more about our upcoming trip across the country to visit and document tiny house communities & community projects. Read more & watch video here. Blog coverage about Tiny House Expedition on the Green and potential for tiny houses in Winston-Salem, NC. WXII stopped by Tiny House Expedition on the Green, Saturday 6/20/15, a tiny house community showcase, pop-up park & party. This was a celebration of the completion of our tiny house, the start of expedition & of our local community. Three tiny houses were on display in mock tiny house, pocket neighborhood. Producer Bethany Chafin of NPR affiliate, 88.5 WFDD continues to follow our expedition. Installment #2 with extended interview. Story starts at 20:20. Alexis & Christian of #TeamTinyX sit down with Bethany Chafin at NPR affiliate, WFDD for 2nd installment of on-going project coverage by the Triad Arts program. Click here to read more, including contributions by #TeamTinyX members Brad Zabel (Habitat Forsyth) and Johanna Elsner (Thomas E. Elsner Custom Carpentry). 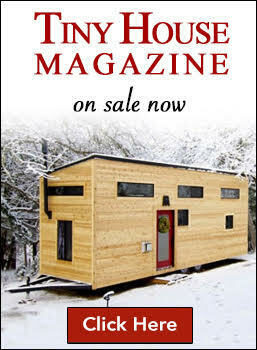 If you are a tiny house enthusiast, then you are probably familiar with Tiny House Talk and the Tiny House Newsletter; great resources for learning about tiny houses, the movement & growing community of folks simplifying their lives to find more freedom & happiness. We're happy to be featured! "Alexis Stephens and Christian Parsons are living the dream. And while the house might be tiny, their project is nothing but! Learn more about these trailblazers and their exciting documentary project in our exclusive interview with Alexis in March 2015." Click here to read the interview & learn more about the sustainability of tiny/micro housing. Live interview at the Triad Home & Garden show. "It's the latest trends basically in the home and garden industry... We got the Tiny House Expedition, which has a lot of buzz on HGTV,” said Gary Hennessey, a sponsor at the Triad Home and Garden Show. Click here to take a tour through our work-in-progress tiny house. "Current innovative uses for tiny houses include housing for the homeless, neighborhood revitalization and urban infill projects that utilize vacant lots to beautify and spur economic development," Stephens concluded. "Tiny houses are not a brand-new concept, but through modem design capabilities, energy efficiency and affordability, they have become an innovative housing solution." What is Tiny House Expedition all about it? This long-format interview by Bethany Chafin provides an insightful look into the beginnings of our expedition (journey with a purpose), plus what tiny house community projects inspire us & how we hope to inspire others. Story starts at 16:30. Listen for #TeamTinyX composer, Tim Nolan's music! 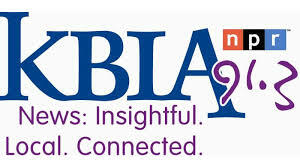 We were recently interviewed by Bethany Chafin at NPR affliate, 88.5 WFDD. A wonderful introduction to Tiny House Expedition for our local community, Triad, NC and beyond. Featuring music by Team Tiny X composer, Tim Nolan. We are very excited to announce that WFDD will be following our expedition-- stay tuned! We were in the papers for the 1st time! Check out the online edition.